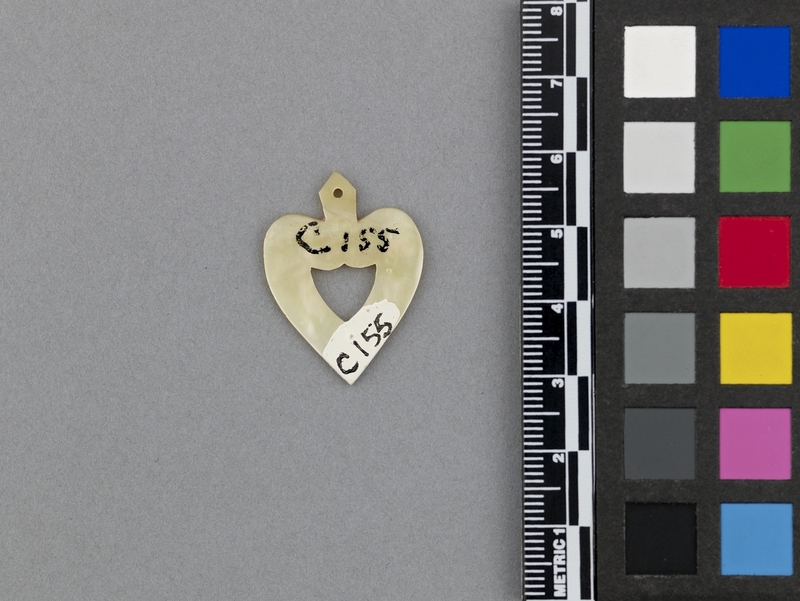 Item number C155 from the MOA: University of British Columbia. 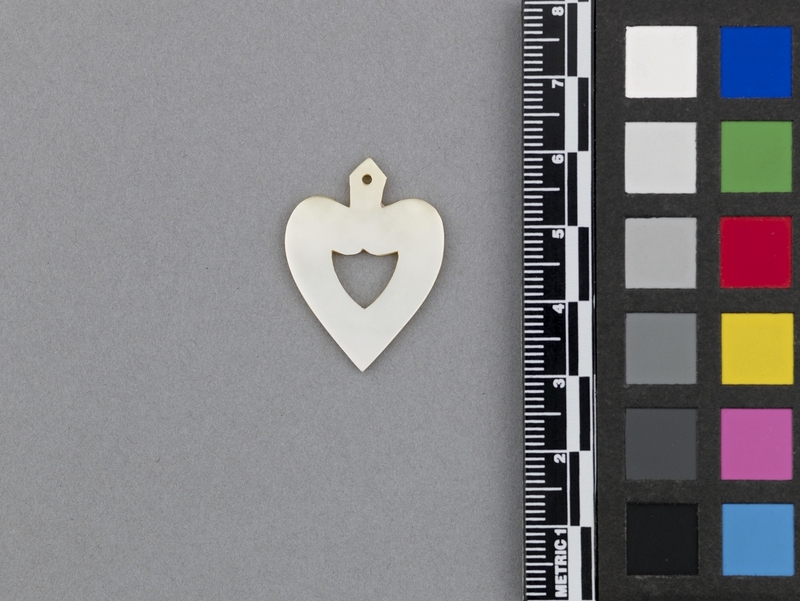 A heart-like spade-shaped piece with the centre pierced in contour. There is a small hole at the top centre.